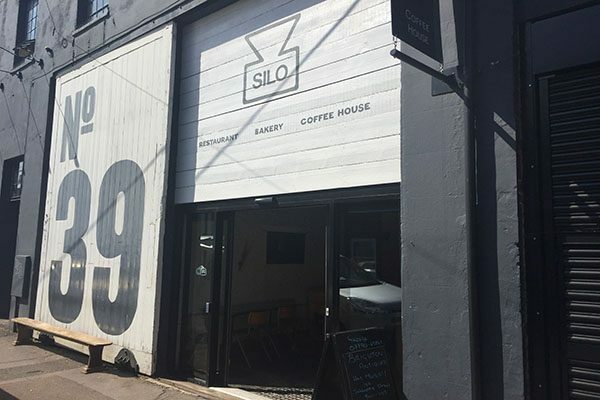 Silo opened as I moved to Brighton, almost two years ago, and it couldn’t have been better timing for an eco-conscious food lover like me. 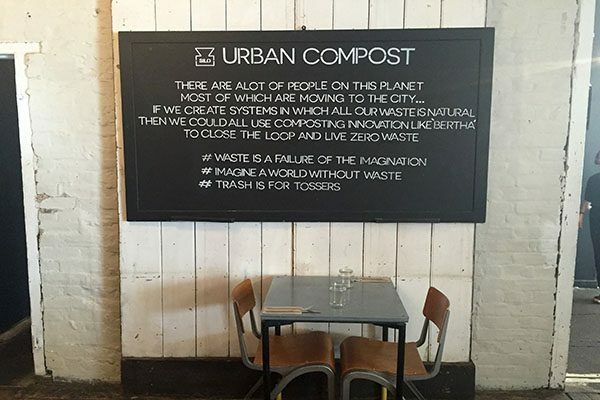 In the last couple of years it has gained a reputation for being the most ethically minded joint in town (if not the country), branding itself as the UK’s first ‘zero waste’ restaurant. It’s certainly not all talk – the approach is genuinely one of mindful consumption from production to plate and everything in between. 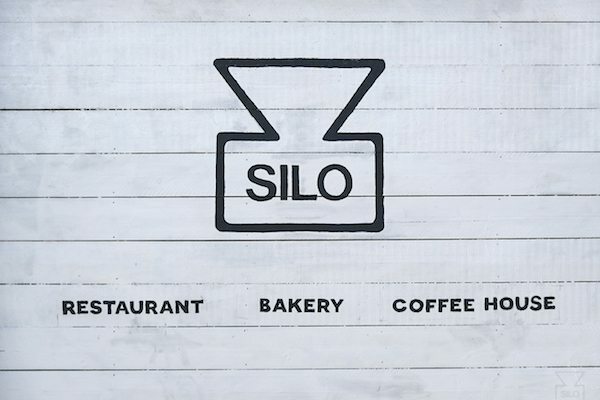 I’d been really impressed by hearing from head chef Doug McMaster about the philosophy of Silo at a local event a year or so ago and learning more about how his own experiences in kitchens around the world have informed his desire to make creating and eating high quality delicious food an easy choice. 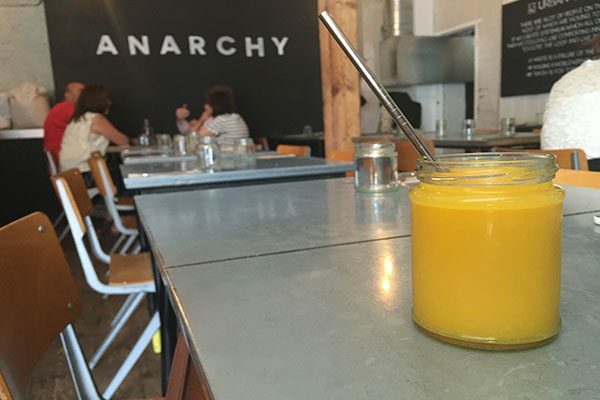 Its ethos along with the inventive food is what has attracted me for dinner and lunch several times over the last couple of years, but it’s not since the restaurant first opened that I’d tried anything for breakfast. I popped in one Friday morning to try their brunch menu and was immediately struck by the not-the-usual-kinda-brunch menu. Not a smashed avocado in sight, this was not your typical Brighton breakfast fare: dishes ranging from lighter sounding yoghurt, seasonal fruit and malted barley (£7) to the more lunchy candy beetroot, worksop blue and potato dumplings (£12). I was also pleased to see the new chairs – the move from recycled wood benches to comfy retro school chairs was a very welcome change. I opted for The Silo Breakfast: toast, beans, egg, mushrooms and vegan bacon (a ‘proper’ bacon option is also available). It sounds relatively standard, right? Wrong. 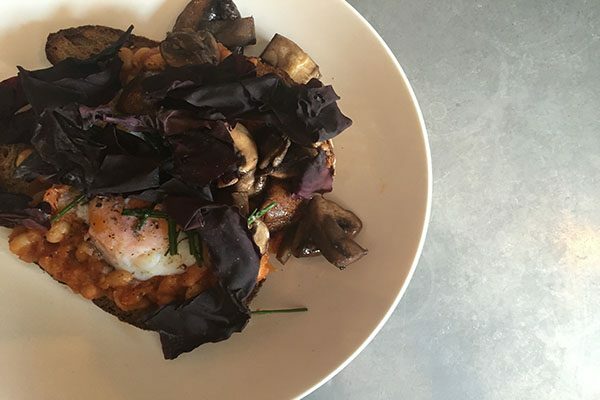 Turning what is effectively a veggie fry up into a high-end dish is no mean feat, but Silo manages it, and at £9 definitely worth the extra quid or two for what you’d pay for a no nonsense breakfast elsewhere. 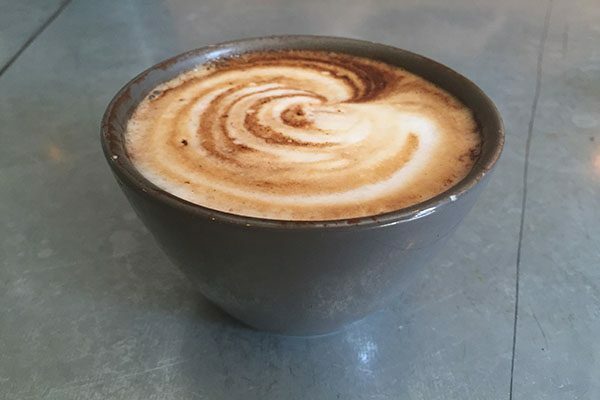 We started our brunch with cappuccinos – the caffeine hit I needed but probably not what I’d come back for. The juice, however, was a delight. I asked for an orange juice and was told they didn’t have any but would a satsuma, apple, ginger and lime juice do? My initial scepticism was banished immediately by the high impact tart flavour, orangey enough to satisfy my OJ craving but less sweet than is often the case. Try it. On to the food: the Silo Breakfast is served with ‘vegan bacon’ – what I had assumed was a soy based product, so when the chef came over to serve us I had to ask where it was. I was assured the dark leafy item was ‘it’ – what turned out to be seaweed. Definitely unexpected, but definitely different. The salty, umami flavour was a really interesting accompaniment to the rest of the dish, a mellow flavour and chewy texture that complemented the smoky beans and perfectly cooked runny egg. The mushrooms were my highlight, with a sweet and almost pickled taste to them quite unlike any I’ve tasted before. Them on toast alone would make me one very happy woman. Coddled Eggs Winning In Taste? Meanwhile my brunch partner had ordered the coddled egg, blood pudding and kimchi and reported another winner in the taste stakes, but for a hungry diner it needed something more to make up for the diminutive portion size. 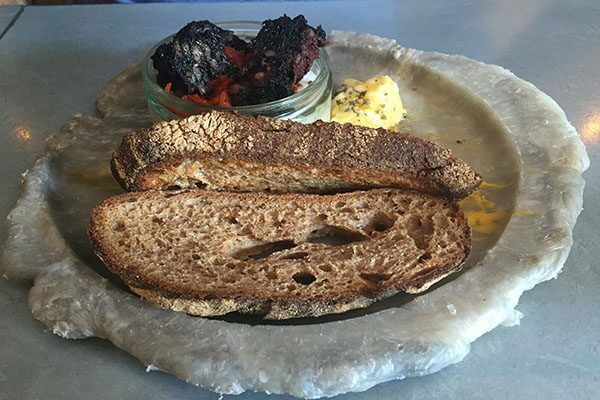 Luckily we’d ordered the sourdough toast with waxcap honey, which was definitely needed to fill him up and was a delicious plate in its own right, the almost creamy and not too sweet honey working perfectly alongside the beautiful butter which Silo churns itself. What I love about Silo is the space – an open plan design with the kitchen front and centre, chefs in full view. Combined with their approach to service, with the chefs bringing the plates to your table and talking you through the dish makes for a unique dining experience.